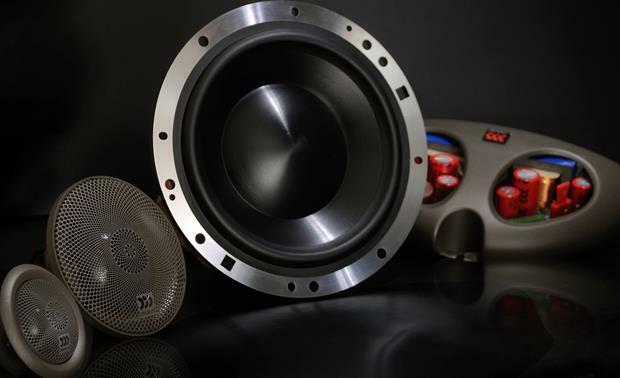 Morel's Elate Titanium 903 3-way component system uses a formidable 8-3/4" woofer for superior low-frequency punch. Its one-piece damped polymer cone minimizes distortion and delivers stunningly accurate performance, while handling up to 200 watts RMS. 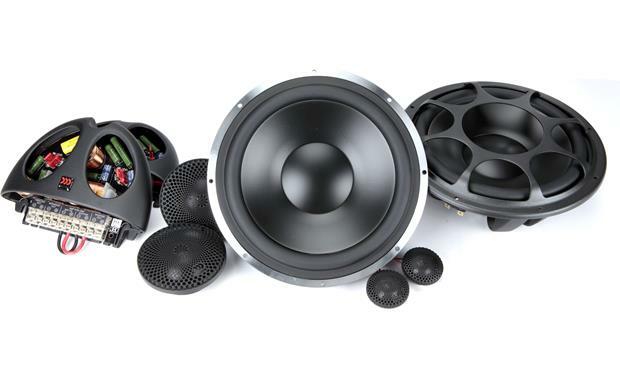 And the innovation doesn't stop there — External Voice Coil (EVC™) technology maximizes voice coil size in this speaker for better heat dispersion and efficient performance. A titanium voice coil former not only contributes to this component system's cool name, its superfast transient response adds a distinctively crisp sound to your audio. The tweeter's the thing! 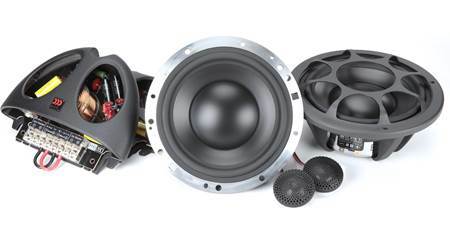 The MT 350 tweeter in this system opens up a world of sonic detail. Morel delivers the midrange and high frequencies with a durable silk dome midrange driver and a tweeter that are both coated in Morel's one-of-a-kind Acuflex™ compound, which enhances damping for a cleaner, more natural sound. The tweeter uses a vented design that improves response and dynamic range. Morel includes external MXR crossovers to deliver an ideal blend of the highs and lows for an incredible stereo image. Three levels of tweeter control let you dial in the sound to your car's environment. 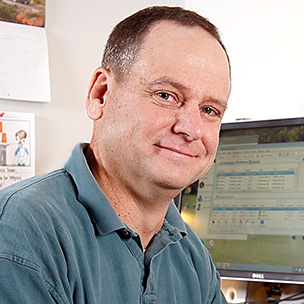 I've been in your shoes — it's hard to not feel overwhelmed by your choices when deciding which component system is worthy of your car... and your ears. 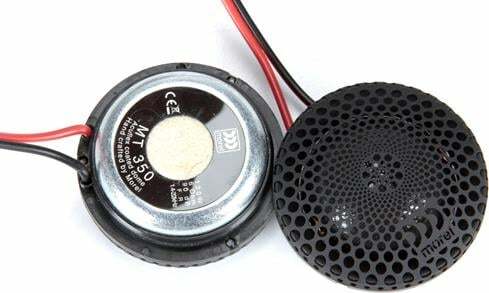 But if you're looking for the best, Morel's component speakers soar. Every bit of that excellence is due to their passion for sound and their insistence that every hand-made Morel driver be tested to meet their premium standards. What size of enclosure is needed for the woofers? 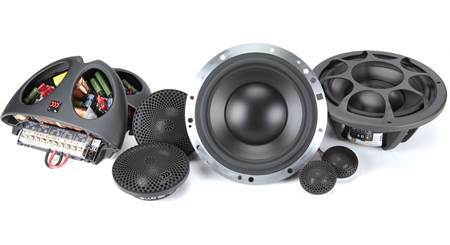 The woofers do not require a specific type of enclosure or amount of airspace. 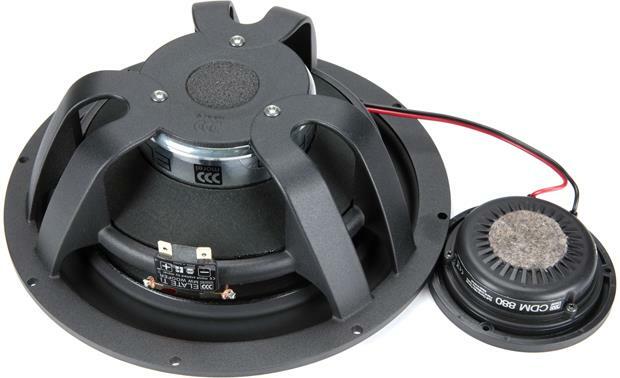 Tweeter Mounting Options: The tweeter can be surface or flush mounted using the included adapters. The surface mount housing angles the tweeters at approximately 40°. Crossover: The outboard crossovers' inputs and outputs are set screw terminals; they will accept bare wire up to 10-gauge. Jumpers inside each crossover allow you to adjust the tweeter and midrange output levels; choose -2 dB, 0 dB, or +2 dB for the tweeter and -2 dB or 0 dB for the midrange. 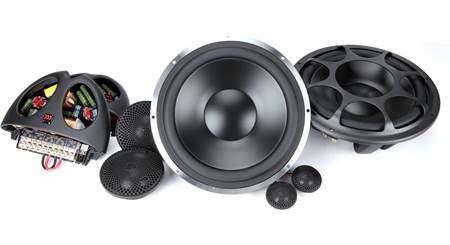 The woofers' low pass crossover is 12 dB/octave at 450 Hz. The midrange's high pass crossover is 6 dB/octave at 450 Hz and low pass is 12 dB/octave at 4.3 kHz. The tweeters' high pass crossover is 12 dB/octave at 4.3 kHz. 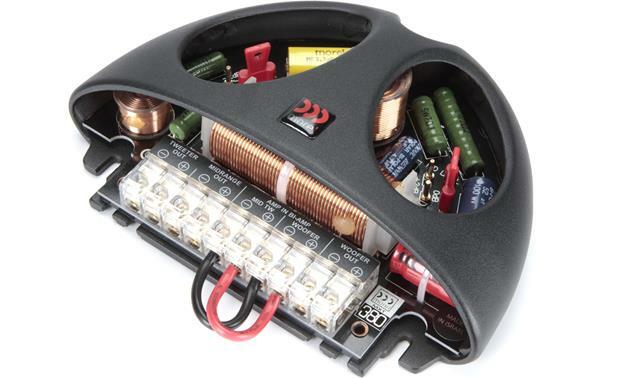 Each crossover has bi-amp inputs, one input for the midrange/tweeter and one for the woofer. When bi-amping the speakers, the input jumper wires need to be removed. Using four amplifier channels to bi-amp the speakers typically improves the dynamic range and presents an easier load for the amp(s) to drive. 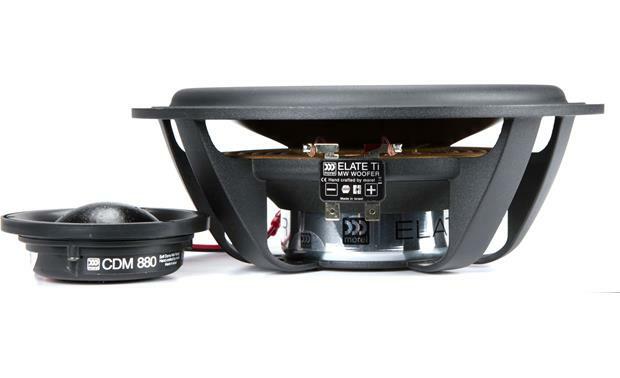 Searches related to the Morel Elate Titanium 903 8-3/4" 3-way component speaker system.